Air Europa took delivery of its first Boeing 787-9 last week, but the aircraft didn’t fly straight home. 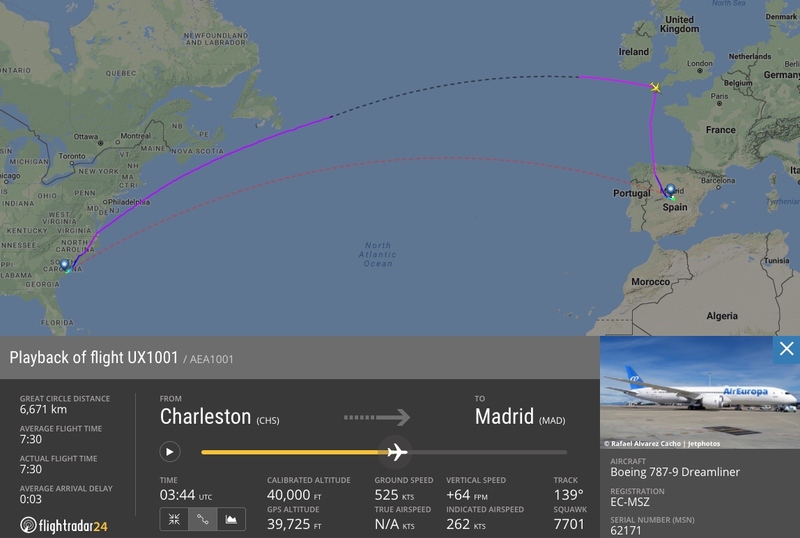 From Charleston, EC-MSZ (MSN 62171) flew northeast along the the US and Canadian coast and eastward across the Atlantic, headed directly for the Lands End VOR-DME. But why the circuitous route? In a word: paperwork. Aircraft lease paperwork to be precise. 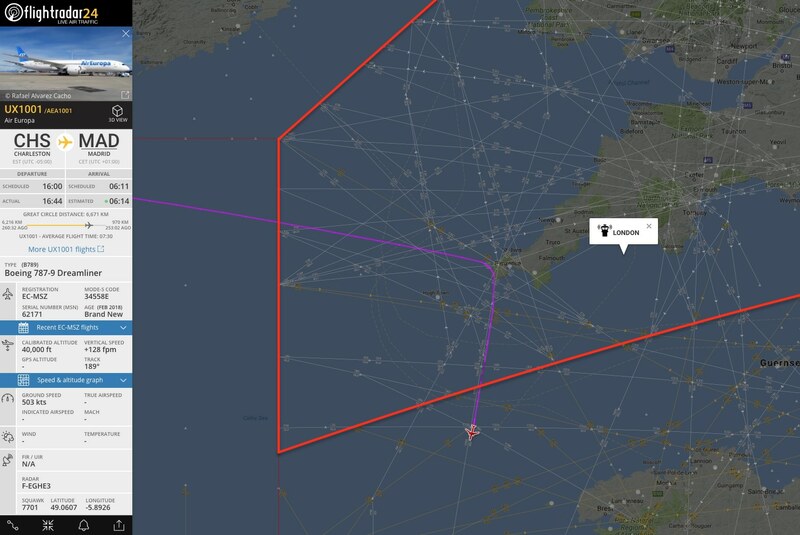 Zooming in on the flight path, it’s possible to see the flight passing through the very southwestern portion of UK airspace as it makes the turn south to Madrid. Air Europa is leasing this 787 and activation of some of the financial structures in the lease required the aircraft’s presence in UK airspace. But the airline did note that stopping in the UK wasn’t necessary. Thanks to inflight WiFi, all of the paperwork was done online.